Hello all! I was going to have the RV inspection guy flush my system for me but now that I've learned a little more about it I think I can do this. The problem was no access to water or dump. Electric yes. But I'm thinking I could use five gallon jugs to fill the fresh water tank and then flush the system and then take the trailer to a dump station. Does that sound like a plan? My next question is does anyone here have or know of a video of a similar model to mine, 86 Satellite T1850, showing how to flush the system? So I can compare all the on/off valves etc. And where the water pump is etc. I agree, you need to learn and do the flushing. It is a skill every camper owner must do at some time or another. I know you are using the wording "flushing" and the system needs that too, but look up "sanitizing" your camper. They are different and your camper needs both. 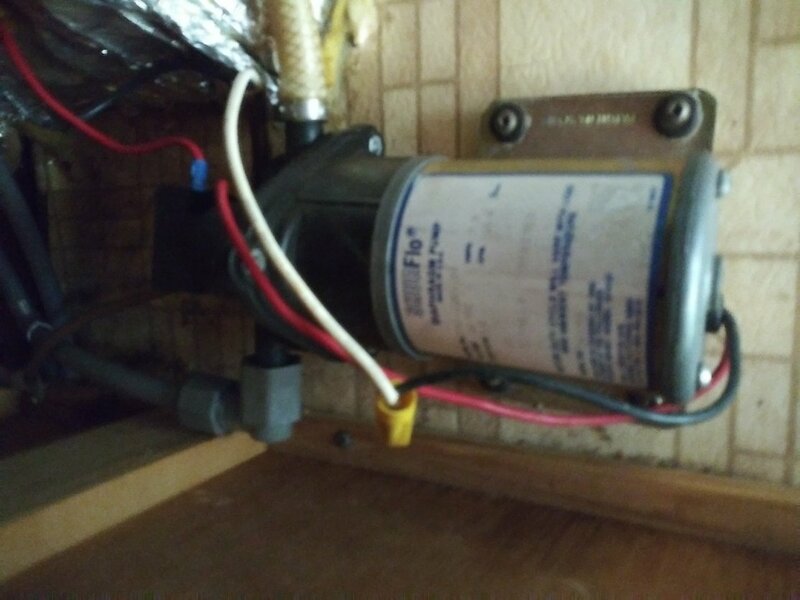 In case no one answers with specifics on your model, we can help if you post pictures of the back side of your hot water heater where there may be some valves. And from that pic we can tell you what valves should be where. Do the same for the low point drains, they are there somewhere, just need to find them. If you cannot find them, go under the camper and look for 2 pipes hanging down. Then go inside in the area of the 2 pipes and look for 2 valves in a floor cabinet or access panel. Here is a tip that might help on the water source, making an assumption that you said you did not access to a water source. That may mean you have no outside water spigot at your house. If you have a laundry tub in the house, many of the standard laundry tub faucets have a garden hose threads on the end of the faucet. You can screw a garden hose on faucet and put the hose out the window to run the camper. Again assuming you can get the camper by the house. We used to do this during cold weather time at our old house when all the outside spigots were shut off. My camper is parked at my daughters house and they're struggling with bills and have to pay for water so I was trying not to use their water. I'm sure they would have no problem with me using it. I will definitely use it a little but to flush the system takes a lot of gallons$$. I couldn't remember how to get the pics in my post. When I hit the pic icon above it asks me for the url. Not sure how to get the address of the pictures so I uploaded them to my profile pictures. The Pic Icon you where using is to "link" to the forum pics from a online photo server if you have one. Or even from the Sunline forum. That is why it is asking for a url, so it can link in the pic. You can "attach" pics to the end of your post by uploading them from your hard drive or phone. When in the advanced reply mode, scroll down and look for the "Manage Attachments". And you can link to a post picture from your personal album here on the forum. Like this, you found your water pump! To link them into a post from your album, go to your album, select the pic you want in full view form. Right click and "copy image address" Then use the Pic Icon and paste in the forum URL address. It will link it to your post where ever you put it in the text. 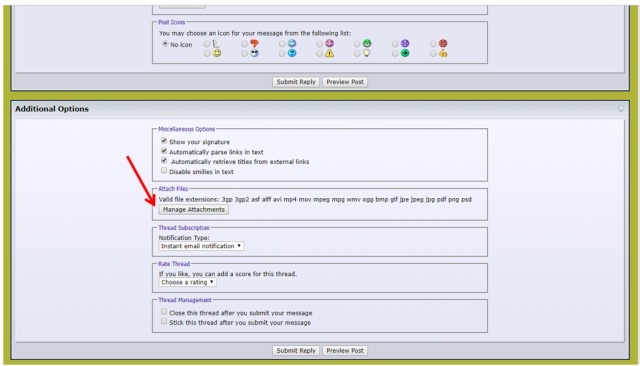 There are also other ways to link in from your Control Panel (User CP, located in the upper left top of the forum). Scroll down to Networking, Pictures and albums, find the pic you to want to link. View it and then at the bottom of the pic is the URL of that image. Copy and paste the URL into the Pic Icon address or copy the BBcode address and just paste it in the post. Hi JohnB. An update....I cannot not find any valves inside the camper whatsoever. The only valves I found on the outside are in the pics here. This is the water heater but I see any valves to bypass the water heater when I flush. I'll be there today and take better pictures of the whole area where the outside valves and the water heater are in relation to each other. Those valves in your pic are the black and gray tank dump (drain) valves. That is where the excess water and waste stored in your holding tanks comes out. You are going to have to bend down and look under the camper along the entire bottom of the camper. We are looking for what is called, low point drains. You are looking to see if there are 2 small pipes sticking out of the bottom of the camper. These 2 small pipes are about 3/4" OD. and would be sticking down about 3 to 6" below the bottom cover of the camper. Assuming you can find them under the camper, then go inside the camper and look in a bottom cabinet or under the bed etc in that general location you found them under the camper. There should be water piping leading to a valve for each pipe that goes under the camper. These low point drains, allow a large percentage (not all) of the water trapped in the water lines to run out on the ground. All the faucets in the camper need to be open to let air in to let the water run out the low point drains. I would "think" your year camper would have these. You are right, there are no water heater bypass valves outside the camper. The water heater bypass valves if you have them are "inside" the camper behind the water heater. They bypass the water heater to shut off the water supply to the water tank. Look their and take pics of the inside back of the water heater piping.